A three bedroom semi detached property which offers no upward chain. All amenities are close at hand including a variety of shops and services at Rushall together with easy access to Walsall, Brownhills and Aldridge. The property comprises, enclosed porch, hallway, through lounge/dining room, modern fitted kitchen, bathroom, double glazing and gas fired central heating, shared driveway which leads to garage. Rear garden. Viewing recommended. Having a double glazed sliding patio door to fore, double glazed window to side and hardwood door leading to. Lounge - Having a double glazed window to fore, radiator, ceiling light point, and four wall light points. Having a range of wall and base units, extractor fan, oven, four ring gas hob, sink unit with single drainer, mixer tap over, space and plumbing for washing machines, part tiled walls, tiled floor and door leading to garden. Having double glazed window to fore, radiator, ceiling coving and ceiling light point. Having double glazed window to rear, ceiling light point, ceiling coving and radiator. Having double glazed window to fore, ceiling light point, ceiling coving and radiator. 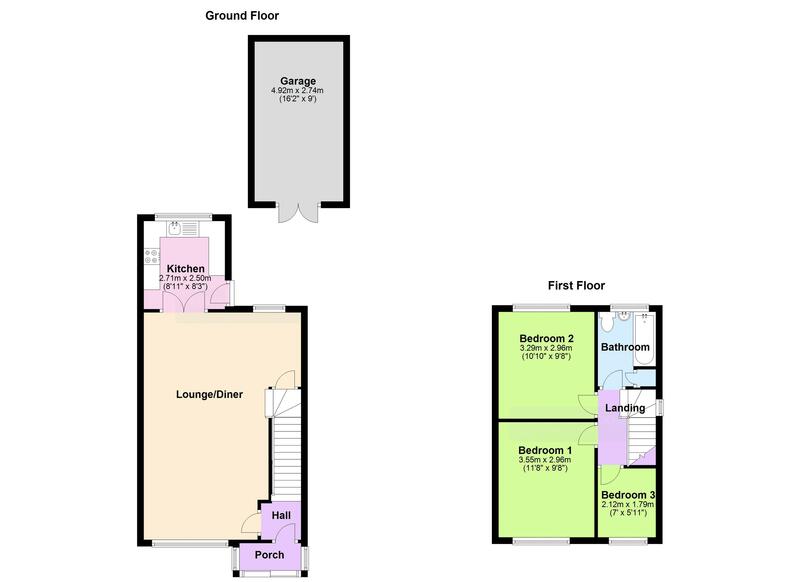 Having obscure double glazed window to rear, comprising three piece bathroom suite, bath with shower screen and shower attachment, wash hand basin, low level W.C., tiled walls, airing cupboard, ceiling light point and radiator. Having a shared driveway, lawn, paved pathway leading to front entrance. To the rear of the property is a paved patio area and boundary fencing and garage.